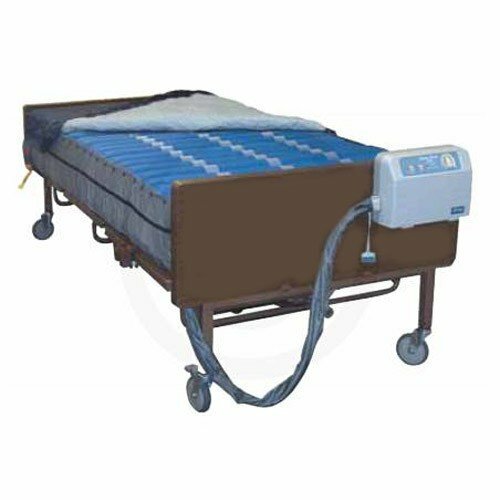 42 x 80 x 10 Inch Med-Aire AP Mattress, 600 lbs. Weight Capacity - SHIPS FREE! 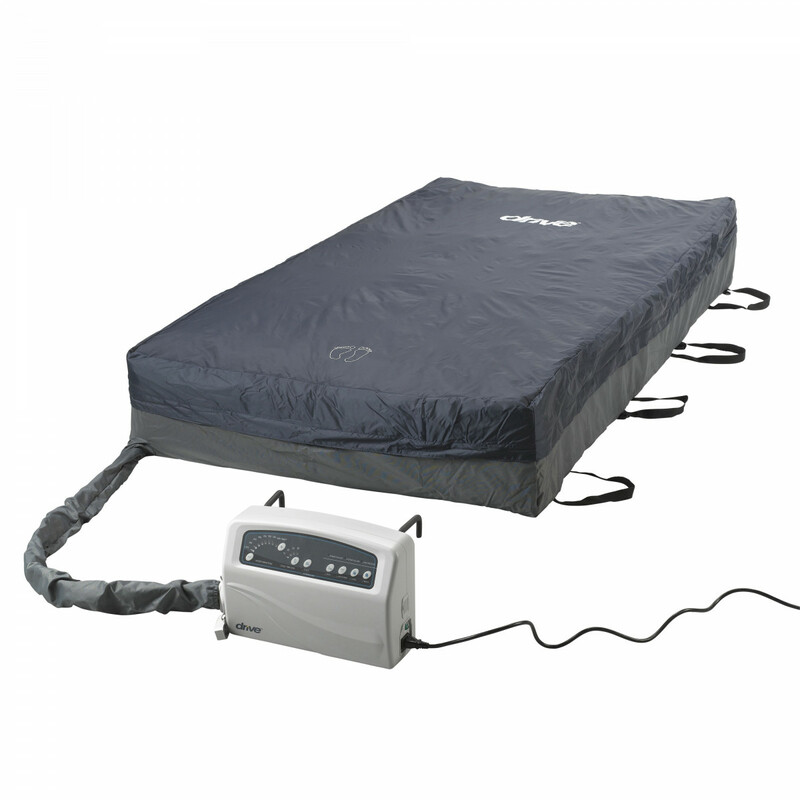 The Drive Med-Aire PLUS Bariatric Alternating Pressure Low Air Loss Mattress System is 45 inches wide, designed to support bariatric patients up to 600 pounds. 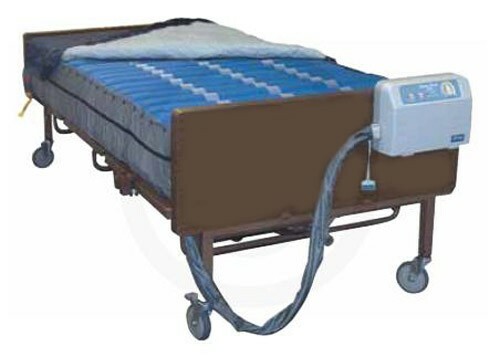 The mattress system comes with a digital control unit with compressor to inflate the mattress air cells to provide alternating pressure for the prevention, treatment and management of pressure ulcers. The mattress is made up of 20 air cells that are 10 inch deep. They are joined for cell-on-cell design to prevent patient from bottoming out and provide support up to 24 hours in the occurrence of a power outage. The control unit offers audio and visual alarms to alert caregivers when air pressure dips. The Med-Aire PLUS digital control offers four cycle times with adjustable weight settings to ensure proper immersion for each patient. It also comes with Auto-Firm, Seat Inflate and more to assist caregivers when patient is transferred. A removable cover comes with the system. It's made of nylon to be fluid resistant and low shear to be extra gentle and protect from friction and moisture against fragile skin. The cover is also quilted to be soft. 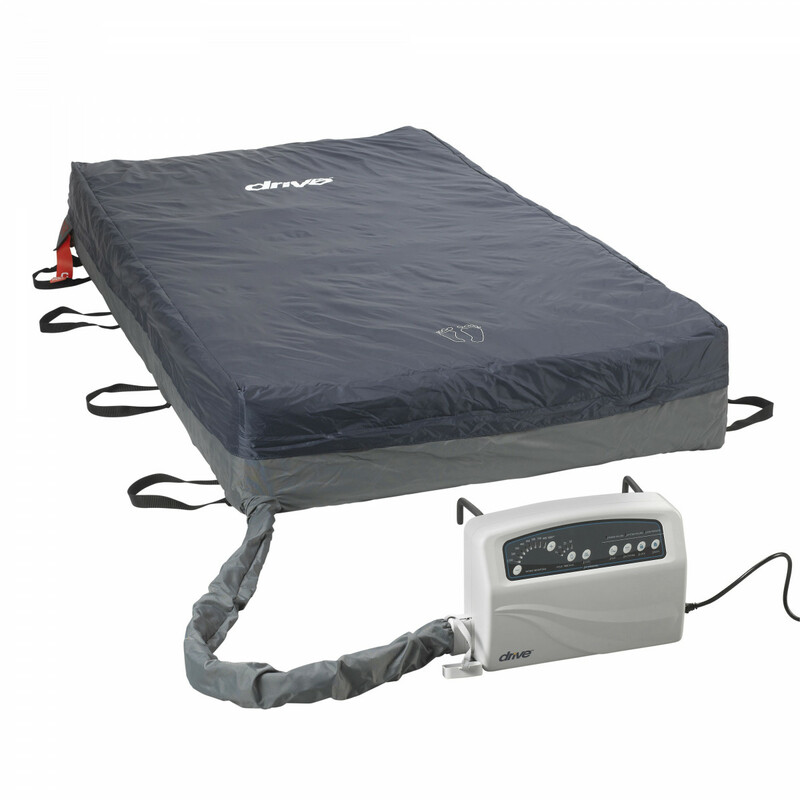 The Med-Air Plus Bariatric Alternating Pressure Mattress by Drive Medical also comes in widths of 48 Inch, 54 Inch and 60 Inch to support higher weight capacities. What is the weight capacity for this air mattress? I love this mattress. It's fully adjustable and feels great on my problem hips & back. The only drawback I can find is that it doesn't have a battery backup and I live in a facility that has outages from time to time so I kept my reg mattress for emergencies. It's also warm in the summer as the air it blows is warm from the unit. But its awesome in the winter. Keeps you nice & toasty warm. Overall I love it & would recommend it.